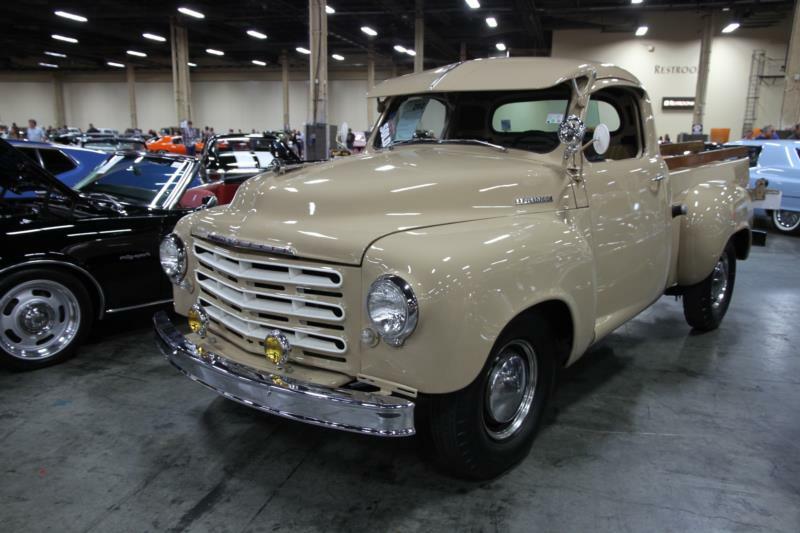 Introduced in mid-1948 as 1949 models, the Bob Bourke-designed 2R series Studebaker trucks were the closest thing yet to fully integrated styling on a pickup. The new Studes featured the industry’s first double wall cargo box and no external running boards. Under the hood was the same 170-cid flathead six that was in the current production Champion cars. While the 2R trucks had the lowest power of any pickup in 1949, it was otherwise very economical in the ½-ton 2R5—in larger trucks the unit required very steep gearing where it worked too hard for economy. For 1950, the engine was upped to 85 horsepower with increased compression, but it was a year later that the biggest improvement came along in the form of the 245-cid six-cylinder. 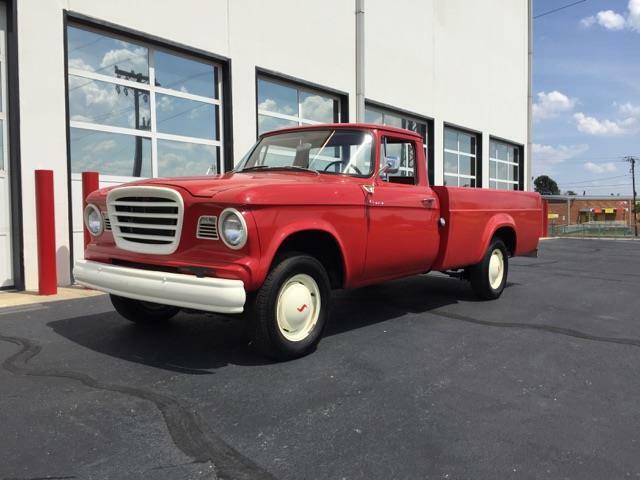 With 102 horsepower on tap for this optional engine, the Studebaker truck finally had ample power in all light duty models. The 2R series continued with just minor annual changes until 1954, with the advent of the 3R. Even then, changes were mostly cosmetic, with a one-piece windshield and a new grille. With a new moniker of the E-Series in 1955, the biggest news was the availability of a V-8 engine. Additionally, the V-8 could also be had with an automatic transmission—another first for Studebaker. Other E-Series changes included a larger rear window and availability of two-tone paint. The biggest change for 1956 was to 12-volt electrical systems. The 3E series for 1957 ushered in yet another new grille, this time a massive full-width affair made of Fiberglas. The 3E series continued through 1959, but in 1958 it benefitted from an economical sibling called the Scotsman. One could make the argument that it was the first retro-styled truck, as it was for all intents and purposes a stripped down 1948-53 2R5. As such, it was the least expensive pickup on the market when introduced at $1,595. The Scotsman lasted two years, when all Bourke-designed light duty trucks were retired—although the medium and heavy duty trucks continued to use this cab. New for 1960 in light duty trucks was the Champ. If it looked like a Lark car modified to be a pickup, it basically was. 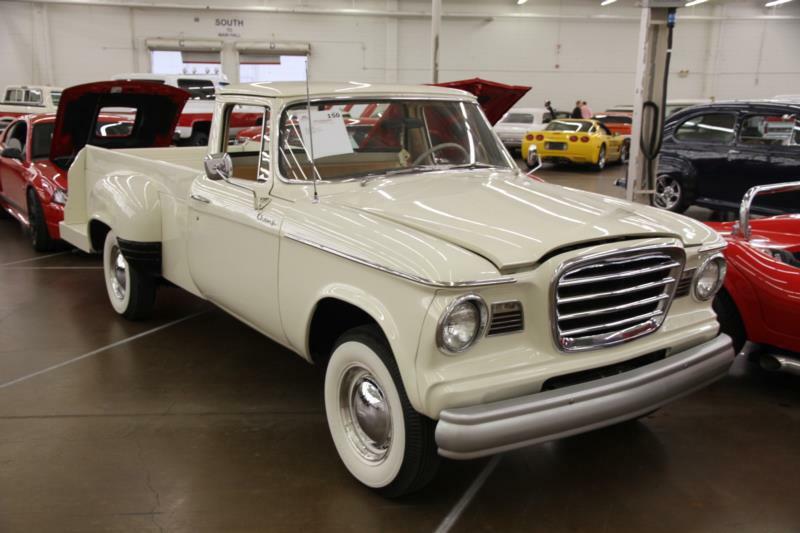 With Studebaker on the financial ropes since the mid-1950s, the design department had a shoestring budget to deliver anything that looked newer for a pickup. Initially, the same engines from the 3E pickups were carried over, but in 1961 the six was now the overhead valve unit from the Lark. The original Bourke-designed fender side box was the only one available initially, but the next year saw the addition of the Spaceside—the former 1958-60 Dodge Sweptline box for which Studebaker bought the tooling. Neither one integrated well with the Lark-based cab. The Champ carried the torch for Studebaker until they exited the pickup market entirely in 1963.